Driving without proper wheel alignment costs you money. It decreases gas mileage, shortens your tires’ lives, and stresses your vehicle’s steering equipment and structure. Driving without proper alignment also puts you at risk. An out-of-alignment car pulls and drifts away from a straight road and may cause an accident. Excessive tire wear—another result of bad car alignment—leads to tire blow-outs and poor traction, which also cause accidents. 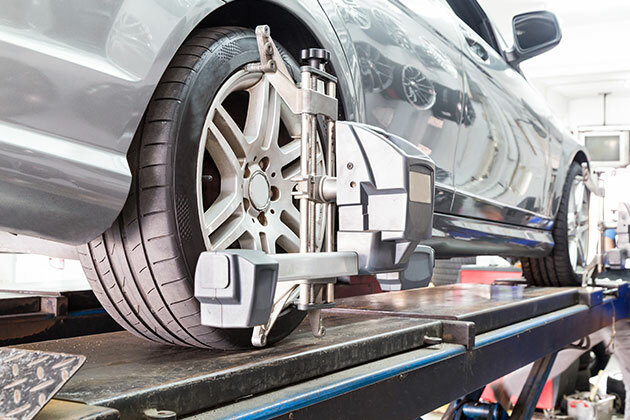 Why Chapel Hill Tire for Wheel Alignment Services? We’re called Chapel Hill Tire for a reason! First and foremost, we are a neighborhood tire shop. While we recommend a tire service every 12,000 miles, bad alignment can mean you need service more often to avoid additional costs and repairs in the long-run. Our friendly, local staff has been doing this for a very long time and we have the tools and expertise to help you get the most out of your tires and keep your family safe.